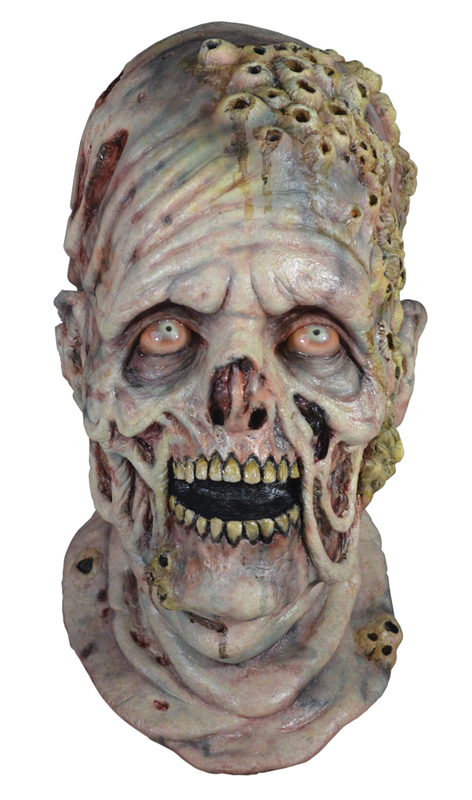 Barnacle Walkers Mask looks like a deteriorating zombie face with barnacles growing on it inspired by The Walking Dead. Wear this mask with your own tattered clothes for a complete Barnacle Walker look. Excellent quality latex full-over-the-head latex mask. One size fits all.